Feel confident in the hands of the largest Guide Service and Outfitter Guiding in Southeast Alaska, specializing in Guided Brown Bear & Wildlife Viewing Expeditions and Fly Fishing trips on remote wilderness streams and estuaries through exclusive floatplane access. 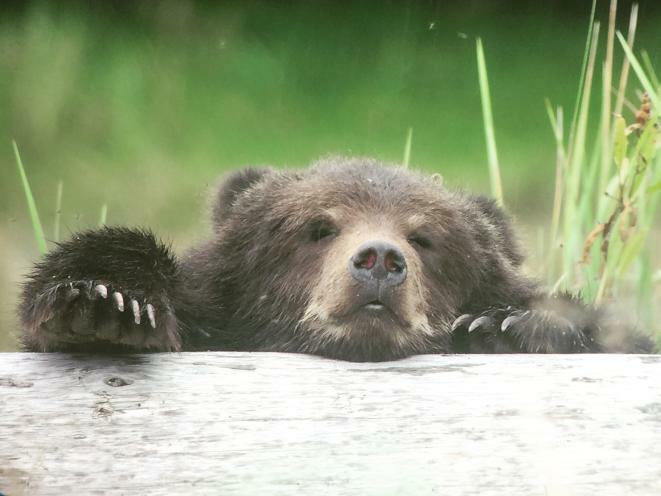 Pack Creek Brown Bear Sanctuary: (6 hours Available May 5th-June 15th & June 25th-September) Once in a lifetime Alaskan adventures take place at Pack Creek Brown Bear Sanctuary! Experience the word renowned site located 30 air miles outside of Juneau, on Admiralty Island National Monument. Enjoy a sightseeing floatplane ride to and from Pack Creek bear viewing area. Once you have landed and made your way to the shore your guide will introduce you to the amazing wilderness location of Pack Creek.